RADIANT SUNSHINE IS AVAILABLE FROM HER OWNER. She is a large paint female who will make a very effective guard because of her size and sharp alertness! at: llamawhisp@aol.com for more information. Would a guard llama work on your farm? Lama Glama, domesticated about 6000 years ago from the wild guanaco in the Andean altiplano, is related to alpacas, vicunas and modern camels. Adults stand 5-6 feet tall, live 15 – 25 years and weigh 250 – 400 pounds. They browse and graze and have efficient, modified ruminant digestive systems. Llamas are highly intelligent and gentle, but not usually affectionate. They are sheared once a year; toenails are trimmed as necessary. Health maintenance and vet care is similar to that of sheep. Yearly upkeep cost averages $250. One can acquire a pair of llamas from a reputable breeder for about $700 each, and up. They should not be kept alone, without other lamas, UNLESS they are on guard duty. 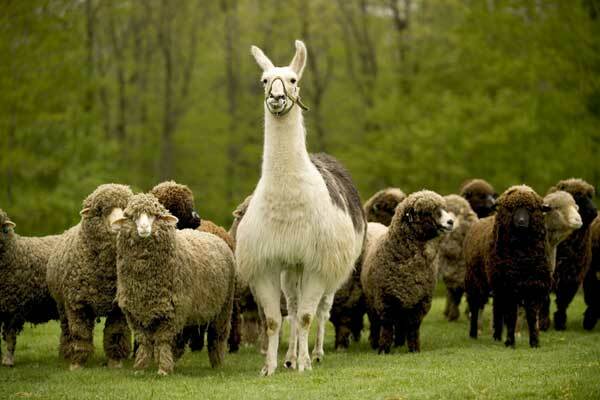 As llamas gained popularity in the United States, they were occasionally pastured with sheep. Owners noticed fewer sheep were being lost to coyotes. Llamas have a strong herd instinct and they like being with others of their own species. After being taken from their llama herd and placed with the sheep, a guardian llama adopts the sheep as its new herd. Being the largest of that new herd, he or she will become dominant and protective. This protective instinct really kicks in at lambing. Llamas have been shown to be equally effective guards in enclosed fields or open range. They deliver non-lethal predator protection in settings with sheep, goats, alpacas, deer, cattle and poultry. They use body language (head lowered while running toward an interloper) and an alarm call to guard, and only ramp up to lethal means (feet and teeth) if the predator doesn’t quit. Both gelded males and females, at least 2 years old, make effective guards, although not all llamas make good guard animals. They usually require no training after introduction to their herd or flock – just an adjustment period of a few days. Llamas communicate effectively with their ‘charges’, as I have seen and understand it. Just by the llama’s alert body posture and some body movements, the sheep know there is danger; they gather behind their guard, while the llama orients himself facing the intruder. Sometimes it is an unfamiliar dog or puppy, just checking things out. Rather than a ‘flee first and ask questions later’ approach, llamas survey the situation and measure their reaction to the need: Puppy? Chase it out. Serious predator? Race, screaming, head down, directly at the intruder to be sure the message is clear. There is obvious non-verbal communication among all the species. 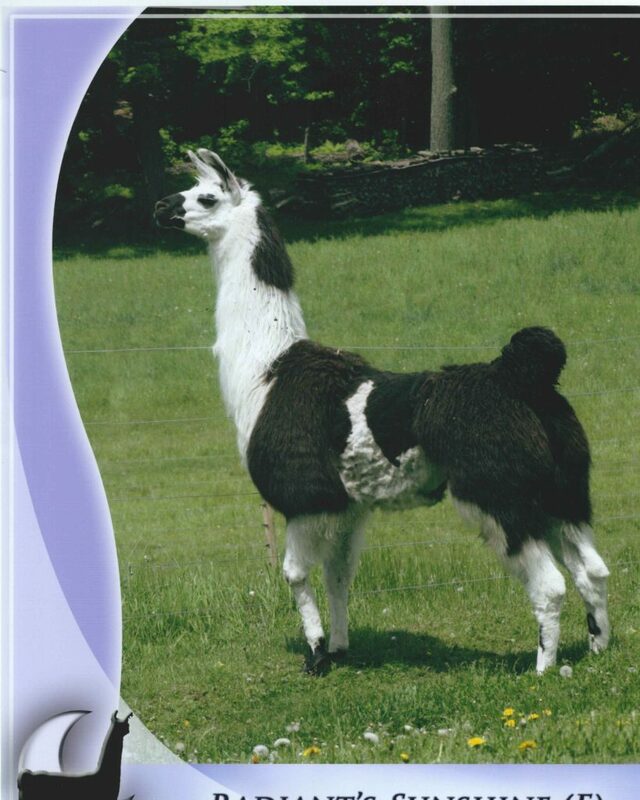 More information on llamas at http://www.galaonline.org.